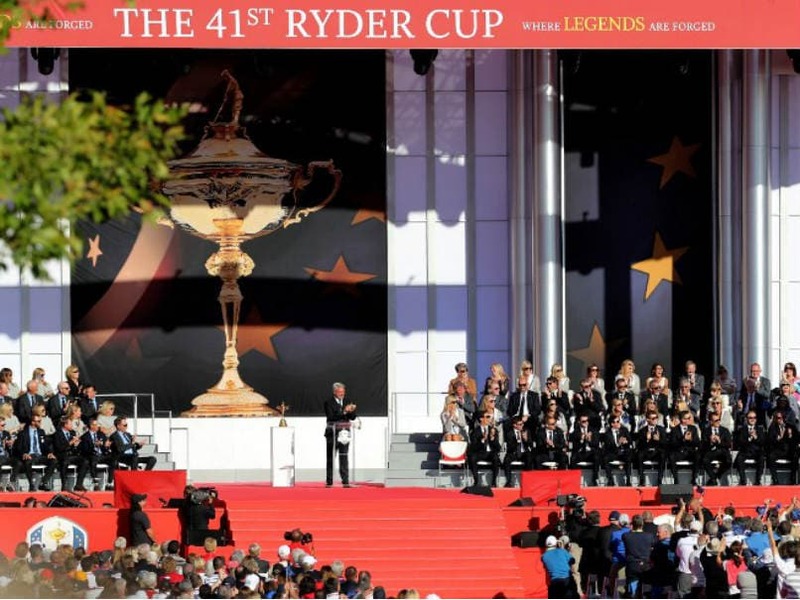 Chaska (United States): Jordan Spieth predicted victory alongside Patrick Reed over Justin Rose and Henrik Stenson in opening Ryder Cup match while Rory McIlroy said a win would carry extra importance. The 41st biennial US-Europe team golf showdown begins Friday at Hazeltine with four morning alternate shot foursomes matches, with Spieth and Reed out first for the Americans. "We believe in ourselves and we will go out there and get our job done and put a point on the board for the United States," Spieth said. "So we have got a huge match ahead of us." 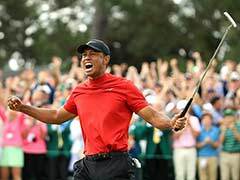 Olympic champion Rose of England and British Open champion Stenson of Sweden went 3-0 in 2014 to spark Europe's third victory in a row, sixth in seven tries and eighth in the past 10 Cups. "We've got a great pairing and they put a lot of faith in Jordan and Patrick," Rose said. "They are incredibly tenacious competitors. It's going to be one of our strongest pairings versus one of theirs." Rose has the first tension-packed shot off the first tee. "It's a moment to try and enjoy the best you can," Rose said. "It's clearly nerve-wracking and it's not a moment you can really prepare for." Reed and Spieth went unbeaten together in 2014 Cup debuts and sparked each other. "I'm pumped. It's just so exciting," Reed said. "I have so much adrenaline going through myself right now I just can't wait to get started." McIlroy, coming off a Tour Championship victory and US PGA playoff crown, joins handpicked partner Andy Sullivan, a Cup newcomer from England, against US favourites Phil Mickelson and Rickie Fowler. "You've got the two most popular Americans out there. 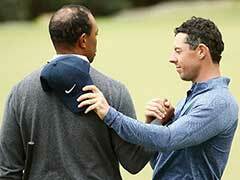 Tough match," McIlroy said. "It's an important match. That match is worth nearly more than one point for Europe, because if we can beat their two most popular players, that's an early blow for them. "If we play the way we've been playing, stick to our game plan and execute the way we know we can, that will be huge." Sullivan doesn't lack for confidence, saying, "When you've got someone like Rory McIlroy standing next to you, you feel like USD 1 million." Fowler says his and Mickelson's games mesh, despite only one Cup match together. "We bring out a really good energy in each other," Fowler said. "We tend to bring out each other's best more times than not. That's what you want, especially in alternate shot." Other matches send Americans Zach Johnson and Jimmy Walker against Spain's Sergio Garcia and Germany's Martin Kaymer while Americans Dustin Johnson and Matt Kuchar meet England's Lee Westwood, making his 10th Cup start, and Belgian Thomas Pieters, making his first. It evoked a 2012 four-ball pairing where Westwood and Belgian Nicolas Colsaerts beat Tiger Woods and Steve Stricker 1 up. "I like playing with these Belgians that shoot 10-under," Westwood said. "No pressure." Among those sitting out the first session is Masters champion Danny Willett, the Cup newcomer from England whose brother wrote an internet article insulting US fans. "Danny is fine," Europe captain Darren Clarke said. "I have no worries about Danny whatsoever, mentally or otherwise. The incident that happened has created a bit of a furor, but Danny is a great golfer and he's ready to play." Clarke even tipped two bits of information on his pairings -- that Willett will play in Friday afternoon four-ball and all six of his newcomers, four of whom are idle for the first session, will play before Sunday's 12 concluding singles matches. "Whatever order that is going to take, we shall see. The scoring and how the match is going will dictate what way we think," said Clarke. 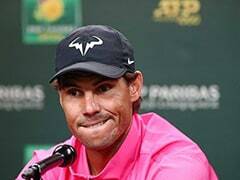 "The guys are all disappointed they are not playing but there's a reason behind it. I have a plan that I'm going to try and execute this week."